DESIRABLE FEATURES: Leather, Navigation, and Remote Entry. This all wheel drive 2013 Ford Edge SEL features a Mineral Gray Metallic exterior with a Charcoal Black interior and has only 125,626 miles. Bob Ruth Ford offers 3 months of free Sirius/XM Satellite Radio on all used vehicles equipped with the Sirius/XM radio. STOCK# BV1093 PRICED BELOW MARKET RETAIL VALUE! Bob Ruth Ford has this used 2013 Ford Edge SEL for sale today. Don’t forget Bob Ruth Ford WILL BUY OR TRADE FOR YOUR USED CAR, USED TRUCK and/or USED SUV! Our Car Dealership in Dillsburg, PA: Call Bob Ruth Ford today at (877) 818-1593 TO SCHEDULE YOUR TEST DRIVE of this 2013 Ford Edge SEL! Bob Ruth Ford serves Harrisburg, Gettysburg, York, Carlisle and Dillsburg, PA. You can also visit us at, 700 North US Route 15 Dillsburg PA, 17019 to check it out in person! We’re glad you found this used Ford Edge for sale at our car lot near you in Dillsburg, PA. Looking for financing? Our Bob Ruth Ford finance specialist will find the best rates available for this used Ford Edge for sale. Bob Ruth Ford has new cars for sale and used cars for sale in Dillsburg.Looking for used cars in harrisburg pa? 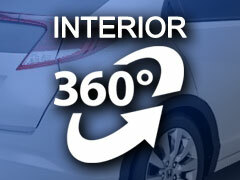 With over 300 used cars in stock we have what you are looking for.